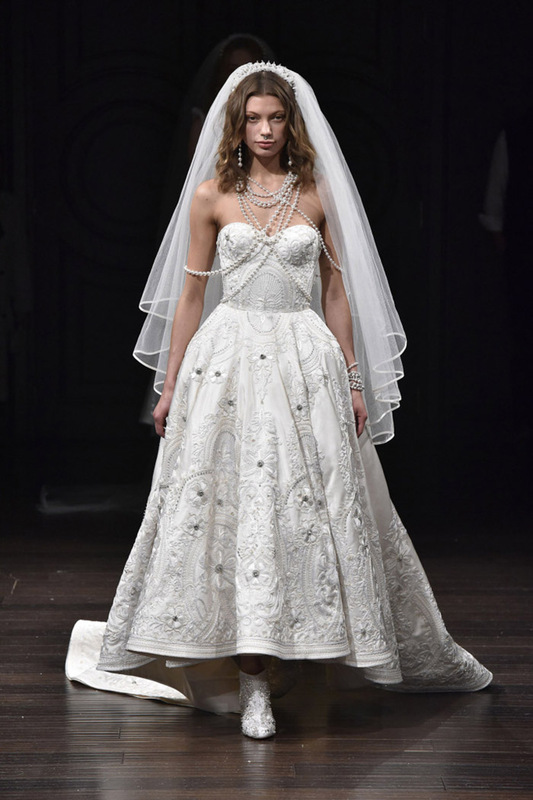 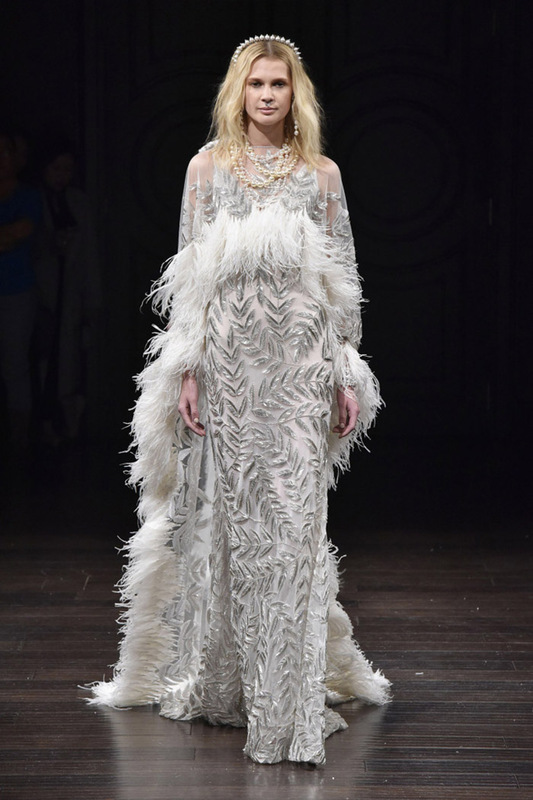 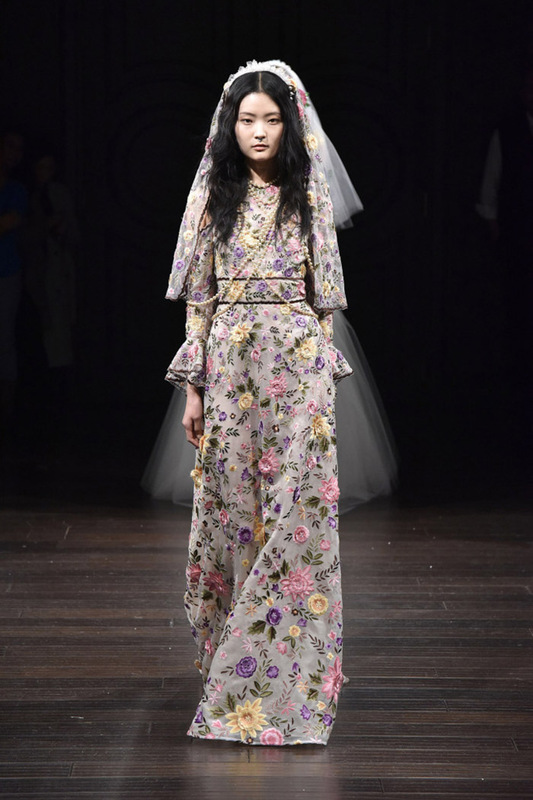 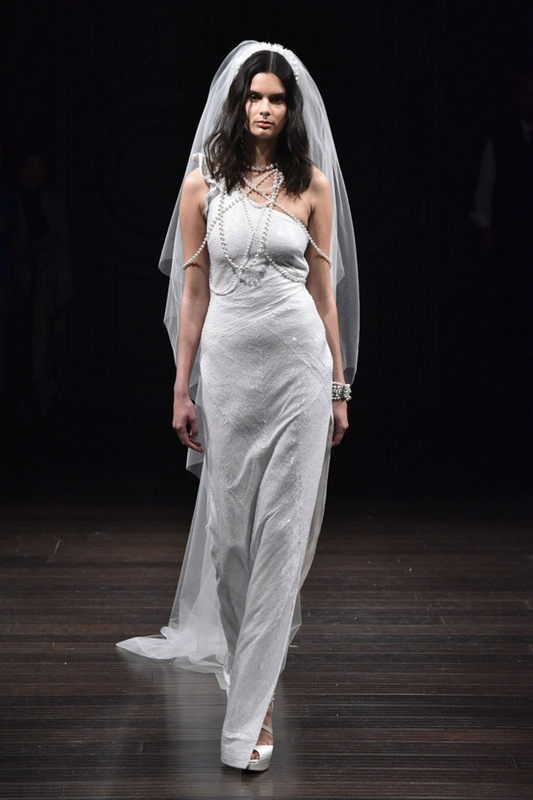 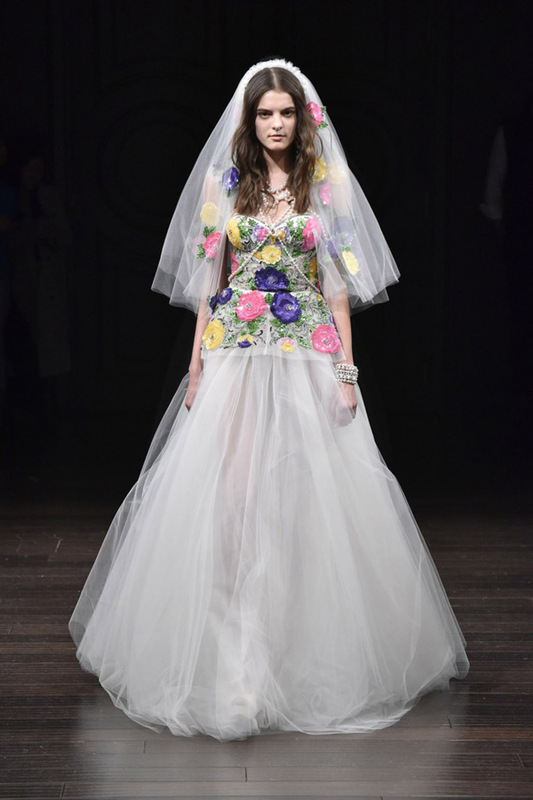 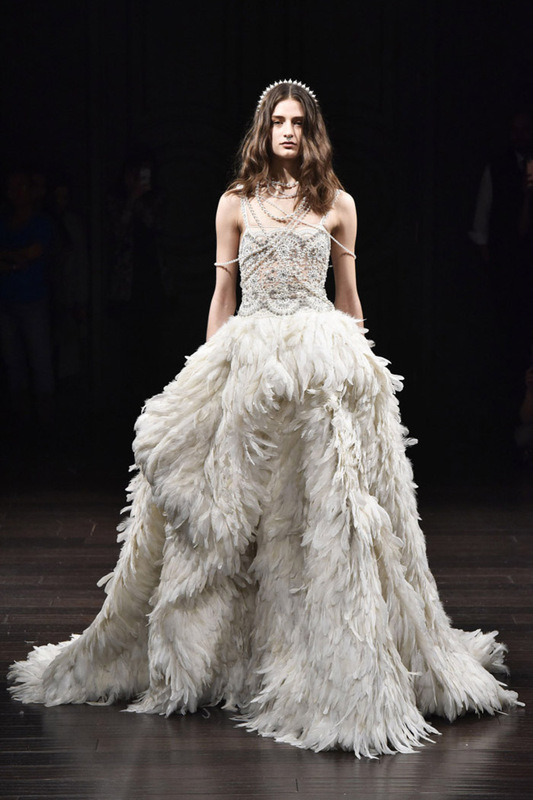 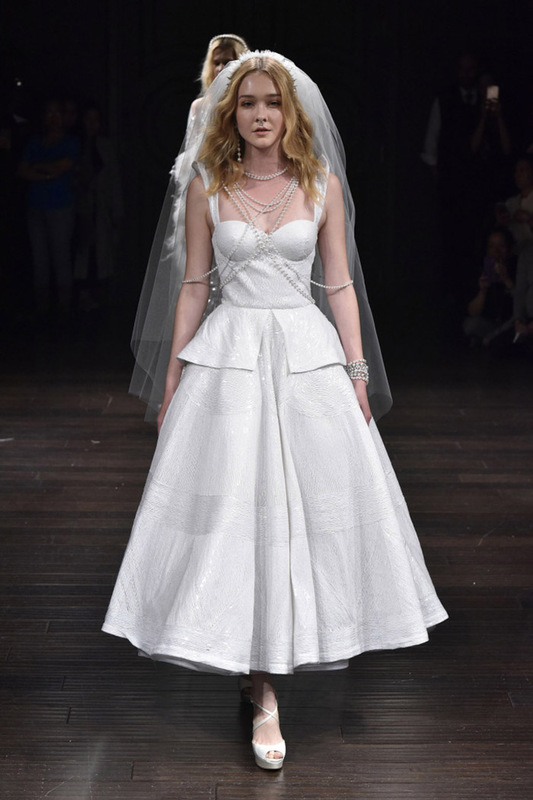 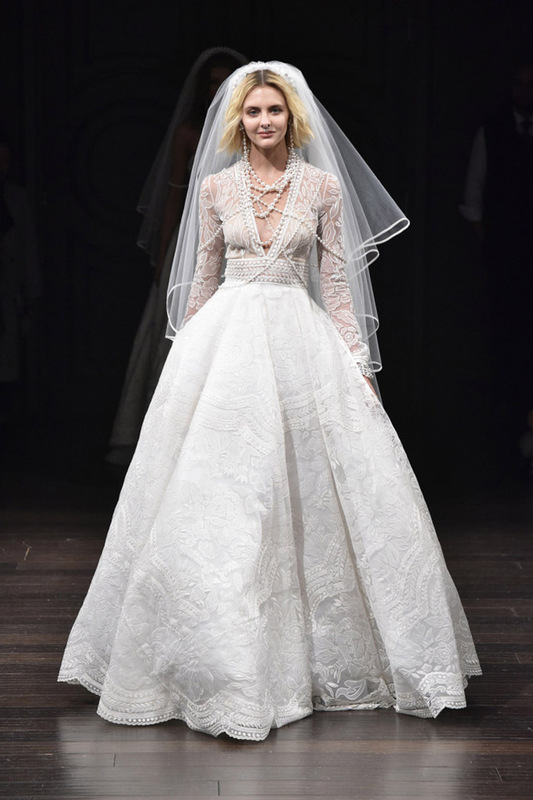 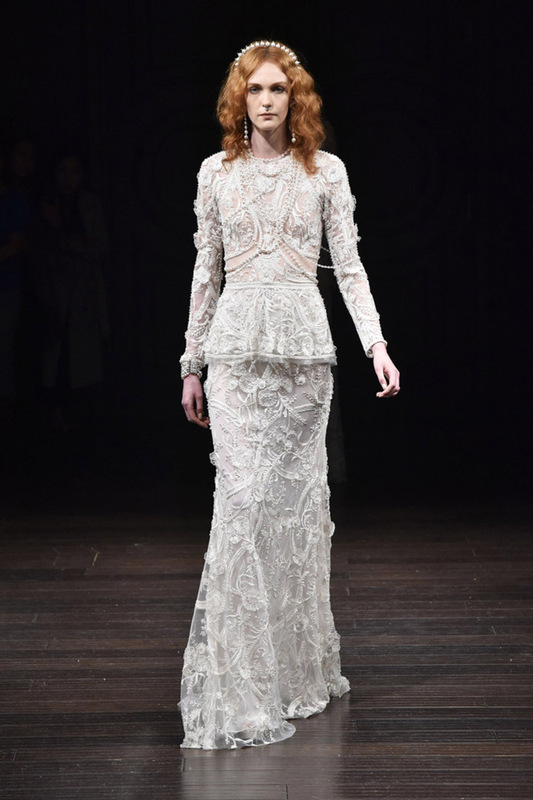 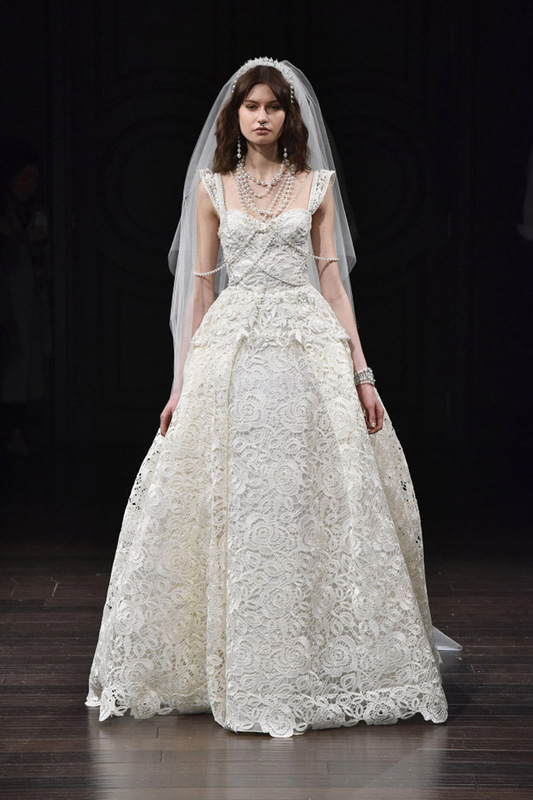 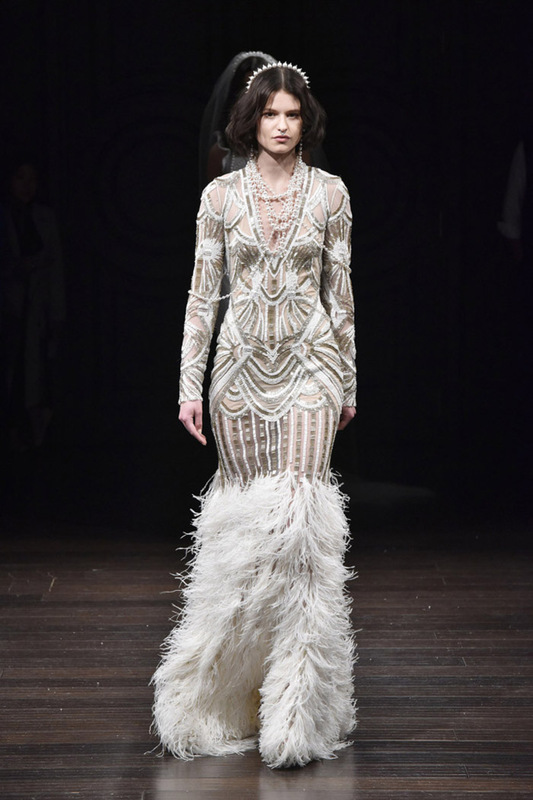 The designer gave his bride a chance to show her adventurous side, with unique silhouettes, some harkening back to the flapper era. 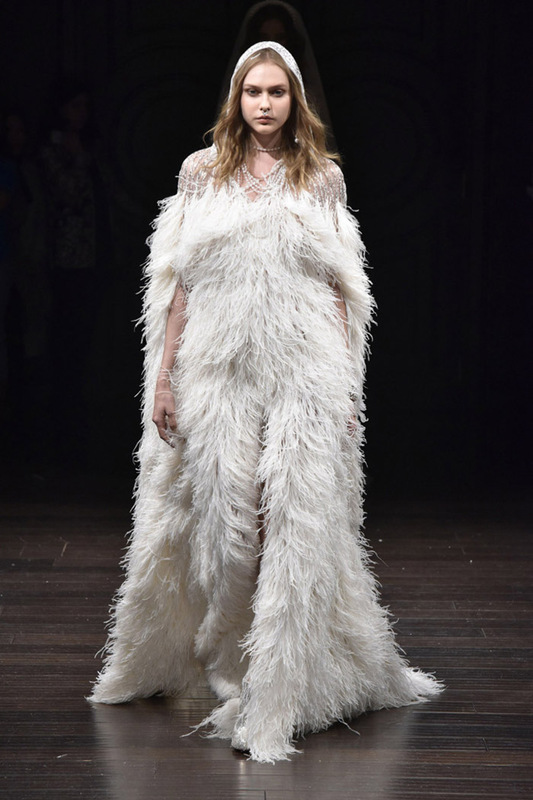 “It’s about luxury. 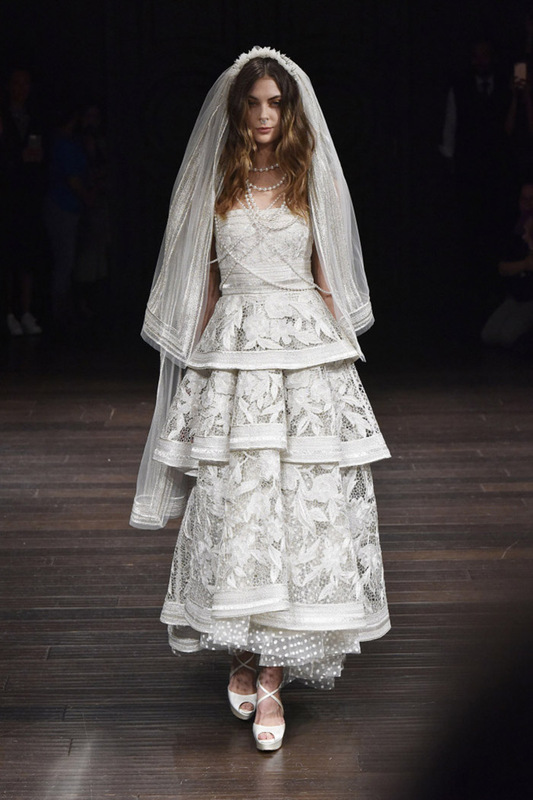 This woman really wants the best, and these brides come from all across the world, from Saudi Arabia to Israel to Santo Domingo, Peru to North America. 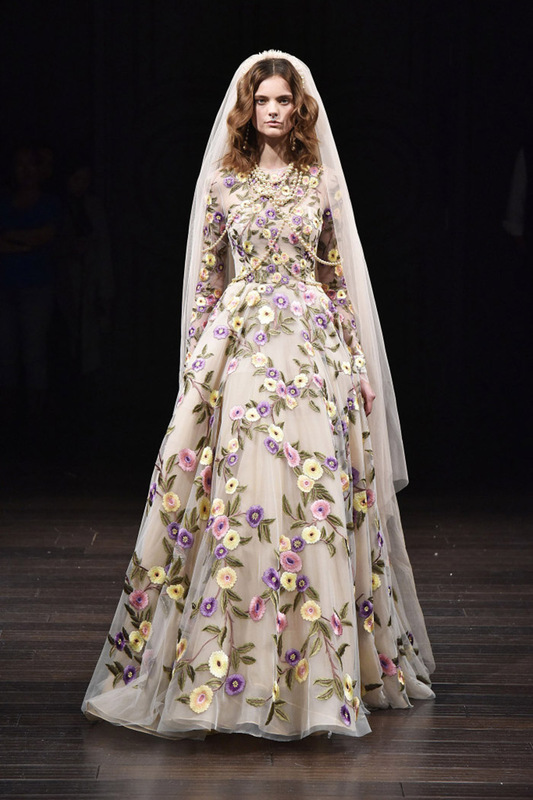 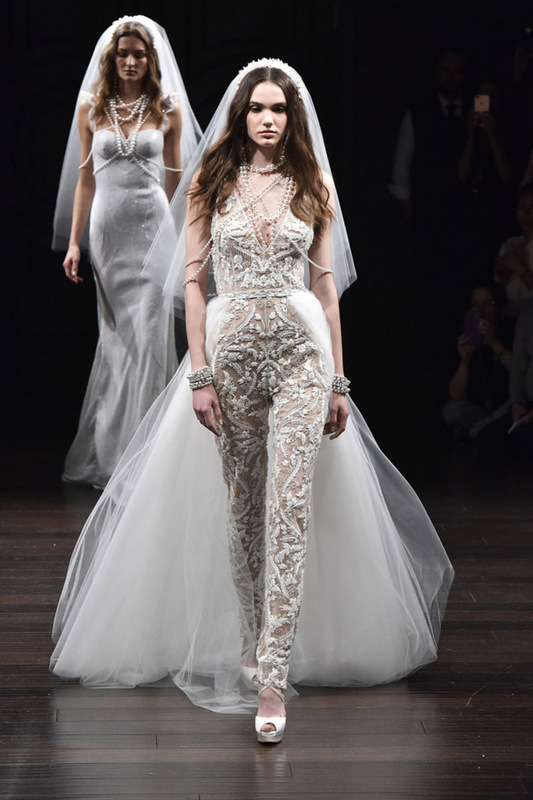 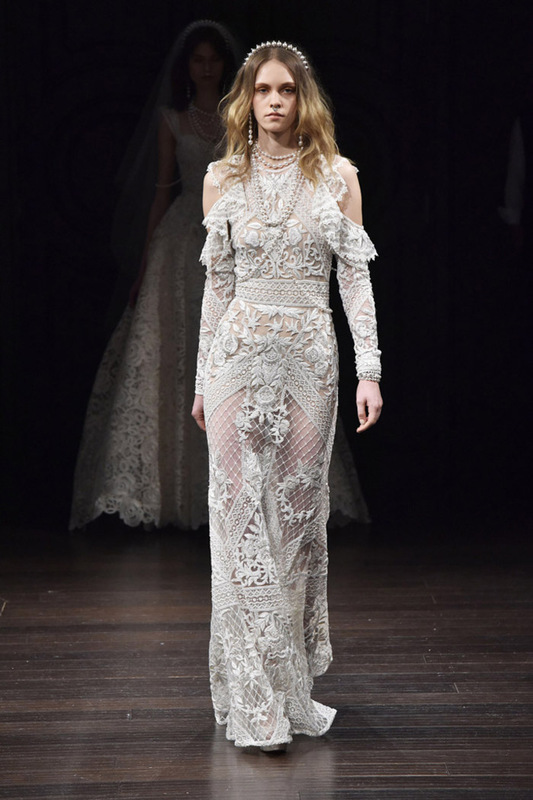 It’s the crème de la crème,” said Naeem Khan backstage at his bridal spring 2018 show.